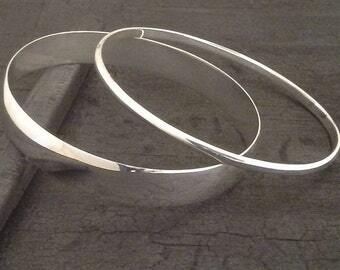 Hand hammered sterling silver bangle bracelet. 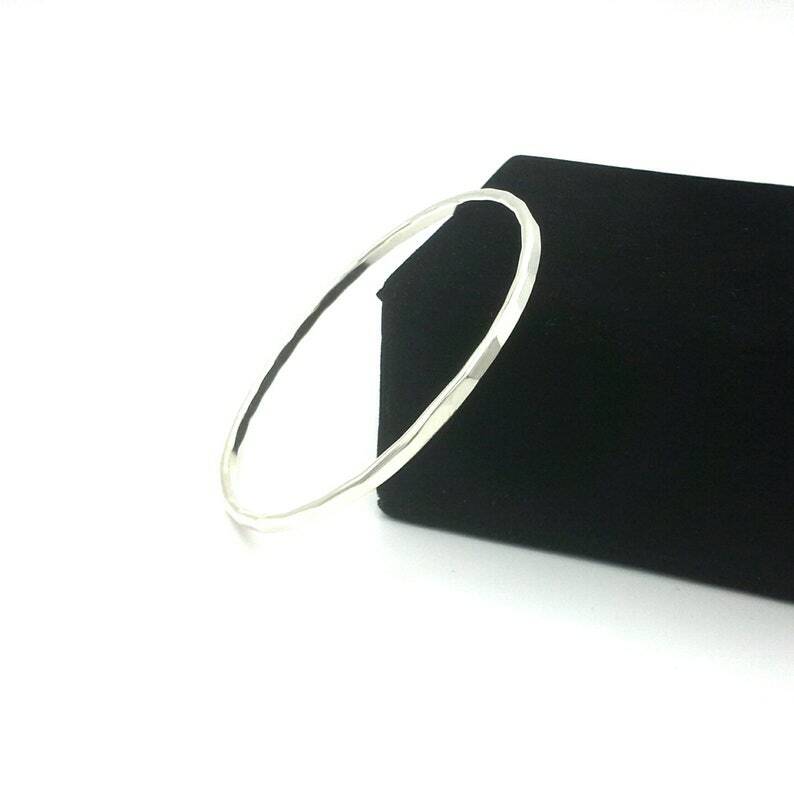 This bangle is made from hefty 10 gauge wire--solid sterling silver. I solder it into a circle, sanded it, and hand hammer it into shape. It gets finished off by going through the tumbler and then polished. Wear it all the time--dress up/ dress down. Measure across the width of your hand and that is your size. A small will be 2 1/4 inches, a medium will be 2 1/2 inches, and a large will be 2 3/4 inches. All of my jewelry is hand fabricated, one at a time, at my jewelry bench. I make each piece to be well made, comfortable, and nice looking. Comes in a hand signed navy blue jewelry box with a navy blue Manhattan gift bag. Also, I am including a free jewelry polishing cloth to help you keep all of your jewelry looking good. FREE Domestic Shipping! Shipped in a flat rate box VIA USPS, with insurance and tracking number. Thanks for stopping by. Feel free to contact me with any questions you have about my work. Everything Keith makes is lovely! I am a repeat customer. As shown, very functional and shipped very fast. Sterling Silver Cup- Post Earrings. Gold Dangle Earrings, Pearl Earrings, Hoop Earrings.